San Diego’s nu Metallers THE FLOOD have released a new song “Knocked the F*** Out” for streaming, check it out HERE! Under the same link you can also listen to the earlier revealed songs: “Raise Hell”, “Highschool Nightmare” and “Freakshow”. Furthermore THE FLOOD have launched their new bandcamp page, https://theflood2.bandcamp.com, where you can buy the songs (via digital downloads) as well as the band merch. THE FLOOD started with guitarist Michael J Felder (Ash The Sky) and bassist Todd Sauer (Ash The Sky) in summer 2016. On drums is Xavier (Blackie) Sanchez (ex-Benedictum) and the line-up is completed by the latest entry, singer and frontman Samson Pavon. 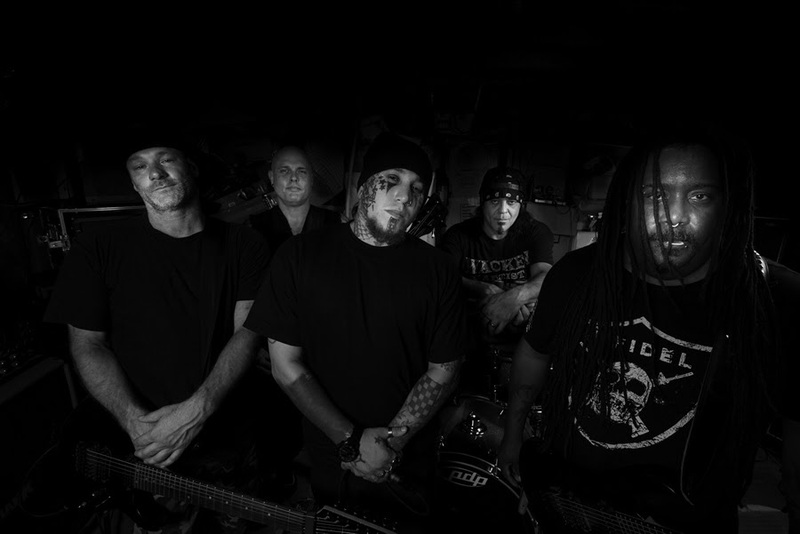 THE FLOOD is a mixture of alternative metal/ nu Metal. The band is also very talented all musicians being from touring bands makes the music easy on the ears but very very heavy. THE FLOOD is a diverse group of people striving for the same thing..the live audience..the shows are pounding and heaving sonically sound and raw..